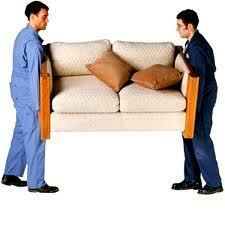 Information provided below is JIT Movers Inc. Moving Tips to assist our clients with a organized moving experience. Call your JIT Movers agent, set a date for the agent to visually survey your home and prepare an estimate. Show the agent everything that is going to be moved. Any items you fail to disclose or that are added later to the shipment will increase the cost, even if you have been given a binding estimate. Sign the Estimate after you are sure you have a clear understanding. If you have any questions, ask your agent to explain. Notify the post office that you are moving. An online Change of Address form is available on the United States Postal Service Web site. Prepare a list of friends, relatives, business firms and others who should be notified of your move. Notify JIT Movers if you add or subtract items from your planned move or if there are any changes in moving dates. Be sure to supply JIT Movers with the destination address and phone numbers where you can be reached. Confirm any extra stops required to pick up or deliver goods to a location other than the main pickup or delivery points in advance. Federal law requires that you dispose of flammables such as fireworks, cleaning fluids, matches, acids, chemistry sets, aerosol cans, ammunition, and poisons such as weed killer. Drain fuel from your power mower and other machinery. Discard partly used cans of oil, paint, thinner, bleach, or any other substances that may be flammable or combustible or those stored in containers that may leak. Discard propane tanks which are used for barbecue grills. Prepare your major appliances for shipment if needed. Set a date for having utilities disconnected. If possible, plan to keep utilities in service through moving day. Have rugs and draperies cleaned. Leave both wrapped when they are returned from the cleaners. cause mold if furniture must be placed in storage. Point out any extra-fragile items needing special attention. Mark appropriately any items you do not want moved, as well as cartons you will want first when the truck arrives at destination. If you are doing your own packing, make sure everything is ready to go before moving day. Collect things you definitely want moved together, such as children's toys, and place in separate groups. 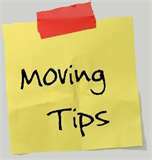 Unplug all electronic appliances in advance of a move, except plasma televisions, so that they will be at room temperature on moving day. This includes home computers, stereos, and audio/video equipment. Check closets, cabinets, and storage lockers for any articles overlooked. Be on hand to see that all items are already to be moved prior to the arrival of JIT Movers. It is your responsibility to see that all of your goods are loaded, so remain on the premises until loading is complete. After making a final tour of the house, check and sign the inventory sheet under which your goods are being moved and your receipt for the shipment. Make sure the JIT Movers operator has the exact destination address. Be sure to let the operator know how you can be reached, including phone numbers, pending the arrival of your household goods. Working with JIT Movers Inc.
Be on hand to accept delivery. If you cannot be there personally, be sure you authorize an adult to be your representative to accept delivery and pay the charges for you. Check your household goods as they are unloaded. By signing the inventory sheet, you are acknowledging receipt of all items listed. Personally report any loss or damage items to your moving coordinator. When unloading, each piece of furniture will be placed as you direct, including the laying of rugs and setting up any beds disassembled at origin. However appliances and/or fixtures will NOT be installed. The mover is not obligated to rearrange your furniture after first placement. Place a floor plan of your new home by the entrance, which the movers can use to determine where each piece of furniture should go. Thank you for selecting JIT Movers Inc. and we hope this information was helpful. PREPARE, PLAN and PREFORM are the 3 key words for a great move. See you on Moving DAY! Would you like to join the JIT Movers Inc.Team? Please send us an e-mail using the instructions below advising your background information related to Moving / Storage Business experience for review. Special Notice: JIT Movers Inc. will not provide your contact information to anyone or share any of your information with other businesses. Wish to join our Mailing List? If you would like to join our e-mail listing please select the box above. If you have a company web-site please provide. Thank you in advance for sending us your comments we will review.